The American Civil War, fought from 1861 to 1865, was and remains to this day the most devastating event in the history of the United States. This national tragedy of unimaginable proportions claimed over 600,000 lives and left millions more wounded. Almost everyone, including children in the United States, was affected by the American Civil War, especially in the South. 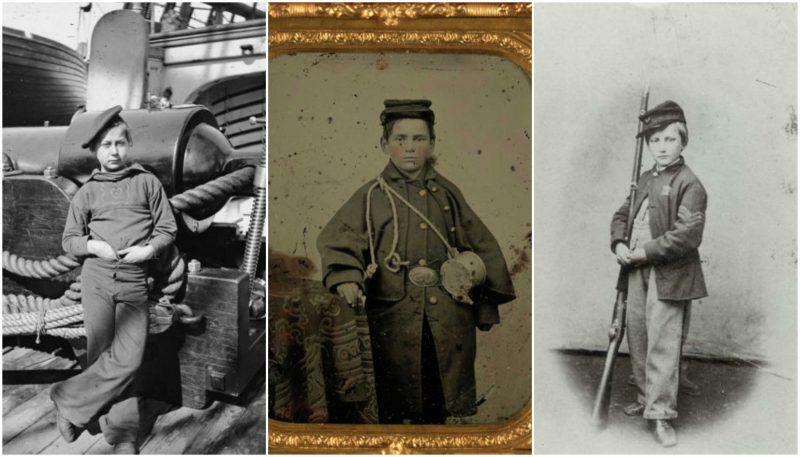 The horrors of the civil war changed the lives of children in countless ways. 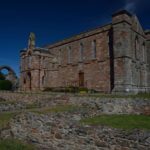 Many of them had to grow up earlier than they would ordinarily have done and a great number of them even joined the army and fought alongside the other soldiers in many battles. 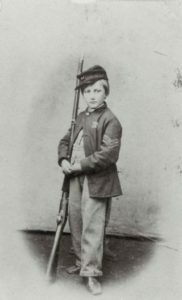 Child soldier John Clem, c. 1863. 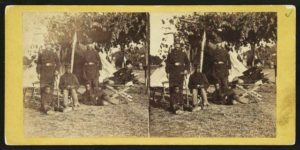 Three drummer boys in the Confederate army who took part in 9 battles. 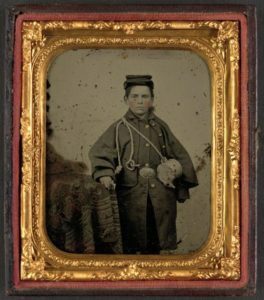 Drummer Jimmy Doyle of Co. B, 18th U.S. Infantry Regiment who was wounded at Chickamauga, Tennessee, in September 1863. 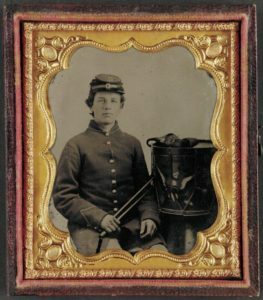 An unidentified young soldier in Confederate infantry uniform, possibly a drummer boy. 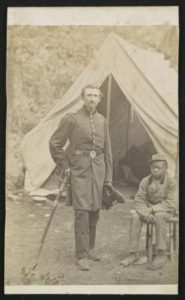 Major Luzerne Todd of Co. D, 23rd New York Infantry Regiment and Co. B, 86th New York Infantry Regiment in uniform with sword and unidentified young African American servant in front of a tent. 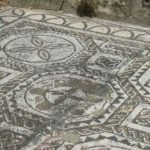 It is estimated that over 250,000 of the participants in this conflict were under 18 years old and many of them weren’t much older than 10. Almost overnight, these boys (both black and white) were compelled to act like adults and most of them even lied about their age and joined the army without their parents’ permission. 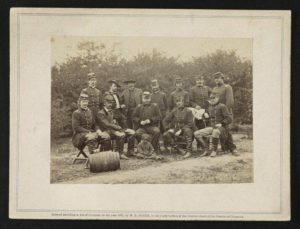 The youngest among them usually got the roles of drummers and messengers, but those who were slightly older were sent to fight in some of the most important battles of the civil war and played a crucial role on the battlefield. 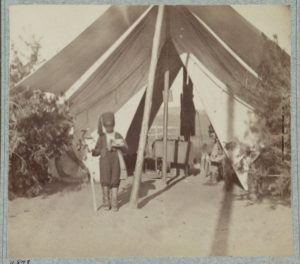 Three soldiers and two African American children, probably servants, posing in front of a tent. 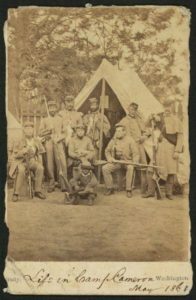 The photograph shows uniformed soldiers with guns posed in front of a tent; an African American child sits in front of the group. The photograph shows a group portrait of Generals Andrew A. Humphreys, Henry W. Slocum, William B. Franklin, William F. Barry, and John Newton, with an African American boy at Cumberland Landing, Virginia. 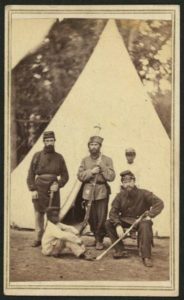 Photograph shows young African American camp servant of Colonel Lloyd Aspinwall of Field & Staff, 22nd New York Infantry Regiment, standing in front of tent with a sword as Aspinwall peeks from inside the tent. 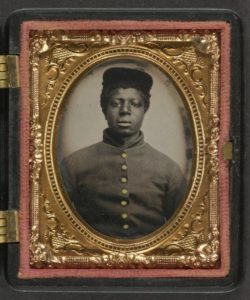 Unidentified young African American soldier in Union uniform. 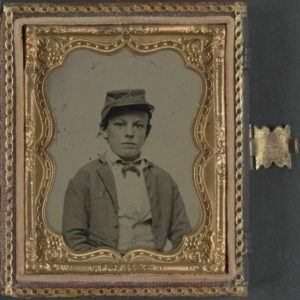 Unidentified young drummer boy in Union uniform. 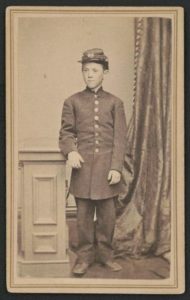 Drummer boy Johnny Jacobs in Union uniform with cup. 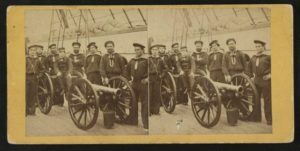 Photograph shows a group portrait of seamen gathered around a mounted gun. 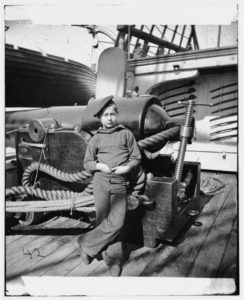 The young boy seated on the gun is possibly the powder monkey. 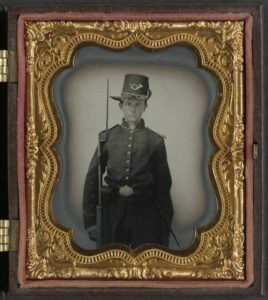 Unidentified young soldier in Union infantry uniform with Hardee hat and musket. 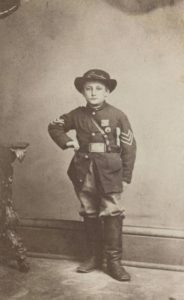 Edward (William) Black (1853–1872) was a drummer boy for the Union during the American Civil War. 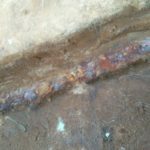 At twelve years old, his left hand and arm were shattered by an exploding shell. He is considered to be the youngest wounded soldier of the war. 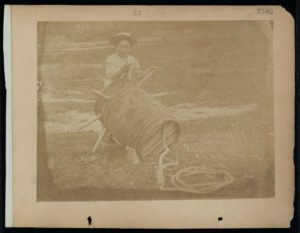 A child leaning against a barrel with wooden spikes. 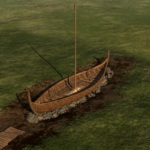 However, most of them could not even imagine what was really happening at the front and were shocked to discover that the war was not the big adventure they thought it would be. 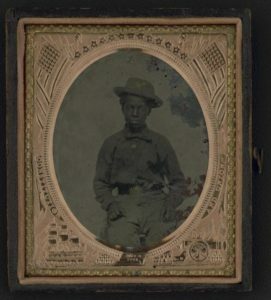 One such boy was 15-year-old Elisha Stockwell Jr, who fought in the battle of Shiloh and later wrote: “As we lay there and the shells were flying over us, my thoughts went back to my home, and I thought what a foolish boy I was to run away and get into such a mess as I was in. 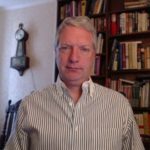 I would have been glad to have seen my father coming after me.”Some of those who were between the ages of 11 and 14 served as “powder boys” or “powder monkeys.” Their role was to ferry gunpowder from the powder magazine to the cannons. 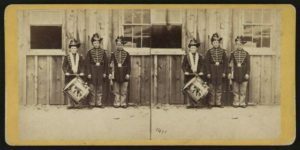 Among the little drummer boys, the name of John Clem, nicknamed “Johnny Shiloh,” is probably best known. 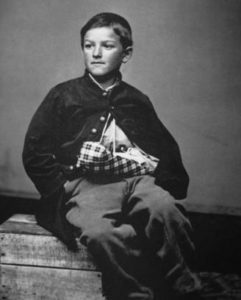 He ran away from home at the age of 9 and accompanied the 22nd Michigan Volunteer Infantry. Carte of Sergeant John Clem armed with a rifle and bayonet. 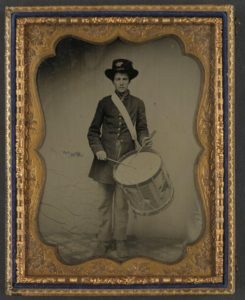 Clem was involved in the Battle of Shiloh and reportedly almost lost his life when his drum was destroyed by a fragment from a shrapnel shell. After the battle, the soldiers nicknamed him “Johnny Shiloh”. However, he became a national celebrity after the Battle of Chickamauga when he shot and wounded a Confederate colonel. 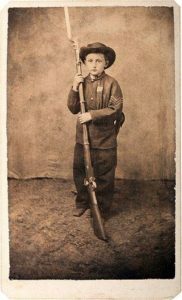 Clem is undoubtedly the most renowned among the under-aged soldiers and he would later become the last civil war veteran to serve in the US Army, but there were thousands of others who risked their lives and joined the army. Nearly 50 under-aged soldiers received the Medal of Honor during the war, but many of them never made it home. 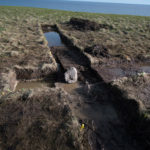 Brave soldiers – we salute you!